Whether you are a large company or an independent trader we have the self-storage solution to suit your Business! McCarthy’s Storage World in Leeds, Harrogate and Wakefield offer customers a flexible alternative to buying or leasing more costly commercial property. 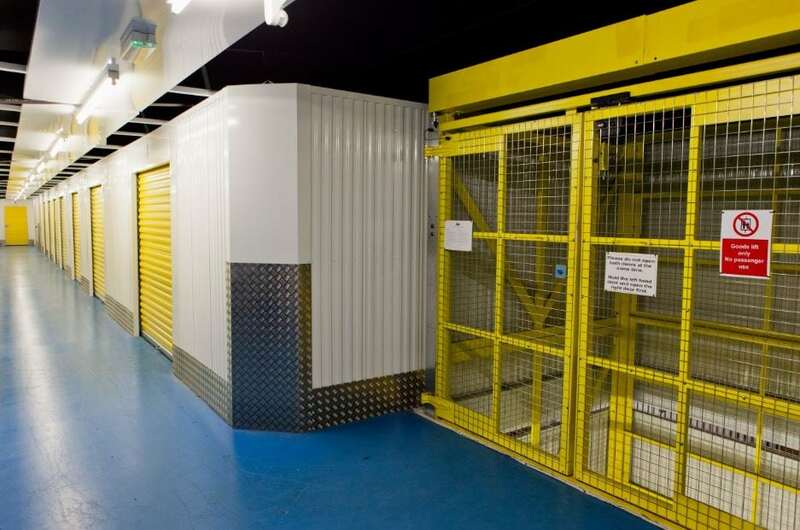 We offer self storage facilities suited to all different types of business and commercial use. The best thing about our business storage service? We make it easy for any firm to save money and increase profits. McCarthy’s has the resources to accommodate all uses, stock, equipment, archives, furniture, electronic goods and vehicles. Whatever you need, McCarthy’s will have something that is just right for you and your business. McCarthy’s Storage and Removals has been a family run business for over 40 years and we very much value long term relationships with our customers and suppliers. A lot of our customers have been with us for many years and have upsized and downsized their storage rooms and serviced office space in Leeds as the needs of their business have changed. There is no long term commitment here; flexibility is the key to our self-storage and serviced office success! Why run your business from McCarthy’s Storage World? Flexibility: You may want space to run a pick & pack operation, you’re an eBay trader, you have archives or seasonal stock that you need short or long term storage for. Whatever your situation we’ve got the solution for you. We offer complete flexibility with space as and when you need it; you can book more space or even downsize your space! All we need is 7 days notice. You need flexibility in an ever changing business world and we can provide it! Offices: We also provide fully serviced offices in our business centre or alternatively you may just want a broadband and phone connection in your storage room / warehouse space. We can provide this alongside heating, lighting and one all-inclusive bill on a very simple license agreement. No big bonds and bank commitments! Value for Money: Why pay for space you’re not using? We only want you to pay for the space you need! So, for example, if your stuff is too big for a standard 300sqft room and you need 500, 1000 or even 5,000 sqft we will build you a storage unit that exactly matches your requirements. If you need heating, we’ll provide it. If you want a flexible deal, we’ll provide it. We’ve been in business over 40 years so we know how things can change to make you busy one month and quiet the next. Whatever the needs of your business, we will provide a solution that suits you. Discounts & Savings: We always try to be as competitive as we can and work with you to get the best price possible! In the unlikely case we are not the most cost effective option, we always offer a price match guarantee as long as we are competing against a like for like service with an SSA member. access, perimeter fencing, burglar alarms and the very latest in smoke detection, as well as electric gates with unique PIN code access! 24-7 Opening: We appreciate that our customers need to be able to work 7 days a week at certain times of the year and often at weekends and out of hours. No problem! Our receptions are manned 6 days a week and we can give you PIN code access to your unit / warehouse 24-7. Great for businesses such as market traders, wholesalers and retailers with fast moving stock that need quick simple access. Secure drive up units: Both of our Self Storage depots in Leeds and Harrogate have 24-7 drive up units so you don’t have to carry your goods very far. Simply back up to the units and unload or reload with minimum fuss! Goods Receipt and Delivery: you may not always be on hand to receive delivery of your goods – let us be there for you! We can simply sign for despatch or delivery collections and hold them in a safe unit until you next come down to the store. We’re here to help! Leeds, Harrogate and Wakefield can all accept deliveries from all sizes of vehicles including articulated lorries. Forklifts and Unloading Equipment: our Leeds site has a forklift truck available so we can unload any size of vehicle quickly and efficiently. We also have free use of pallet trucks and trolleys at the Leeds, Harrogate and Wakefield sites and, being a removal company, we also have lots of useful lifting equipment! Man & Van or Removal Services: if you need to hire a self drive van, a man with a van or a full removal crew please speak to our removals teams on 0113 262 3000 and we can arrange it all for you! We have been in business for over 40 years offering first class service and great value for money so we’re confident that shows we must be doing something right! Why not complete the above form to get a quote or give us a call on 0113 262 6500 for Leeds, 01423 625 000 for Harrogate or 01924 663 555 to speak to one of our friendly advisers today!